I don't know about your family, but we are yet re-cooperating from the holidays. 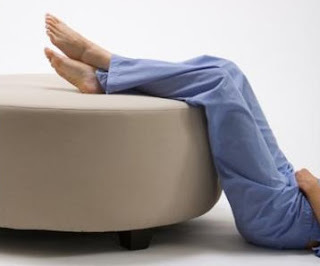 This weekend will be all about relaxing, re-connecting and (looking around in dismay) cleaning! My favorite "around the house" wear is still scrubs. I started wearing them in college, after my roommate, a medical student, turned me onto them. They've been my favorite kicking around clothes ever since. Comfortable, yet they hold up to wear and washing so well. You won't ever catch me running out for a quick errand in sweatpants, but I don't hesitate to leave the house in my cotton scrubs. Another thing I love about scrubs is the wide variety of styles, colors and patterns they are now available in. I'm certain those in medical professions do, too! Long gone are the days of "hospital green". Selections of styles and fabric for scrub sets are so diverse now. Something for everyone, especially at Blue Sky Scrubs! 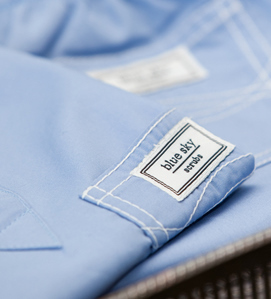 If you are looking for quality scrubs, whether it be for lounging or professionally, Blue Sky Scrubs offers a full line of high quality, designer scrub apparel. Want to learn more about Blue Sky? See the full Blue Sky line of products at the Blue Sky website. The opinions expressed above are honest and my own. Information and images taken from Blue Sky Scrubs.com. Compensated post. Images sourced from Blue Sky Scrubs. I love to have something cofortable to lounge around the house in, something that I can move in and get everything done without worrying about getting something on me or uncomfortable jeans. Usually, I'm in my pj pants and a baggy shirt but I hate to answer the door like that. I always loved scrubs back in college, my best friend was a nursing student and I would swipe his extra scrubs to lounge in lol. I'm definitely checking out Blue Sky Scrubs to see if I can find me a set or two!! i LOVE scrubs. they are the most comfortable things ever. now i want more!! i have some contraband ones from when i ran an infant program at a local hospital and i just realized i cant remember when i last saw them !! I scored some scrubs during a hospital stay once. They are pretty comfy! Oh I love the stripey print in the second picture! I'm going to have to go and check these guys out. These seems like they would be so comfy! I never even thought about wearing scrubs to just hang out in - But now you have convinced me it is a great idea! Thanks! These look so comfy for the weekend. Perfect for lazy sundays!